Of all the local places on my to-eat list, perhaps none has remained elusive longer than Addison, which I think I'd been curious about pretty much since it debuted in late 2006. Most of the reason had to do with the fact that it's located in San Diego, but a recent one-day stop down there finally allowed me to cross the place off my list. Named after architect Addison Mizner (the inspiration for the resort's architecture), the restaurant is helmed, and has always been helmed, by Executive Chef William Bradley. About the Chef: A San Diego native, Bradley got his first taste of the restaurant biz at age 16, when he started working as a prep cook at a local Italian joint in the unincorporated suburb of Bonita. He instantly fell in love with the craft, and eventually made his way to Azzura Point at Loews Coronado Bay Resort, cooking under James Boyce (best known around these parts for his work at Studio). Bradley ended up following Boyce to the well-regarded Mary Elaine's in Scottsdale, working there for three years as a sous chef. In 2002, he ventured out from his mentor's wing and secured an Executive Chef role at the Hyatt Regency Scottsdale's Golden Swan restaurant, which he transformed into Vu in October 2004. 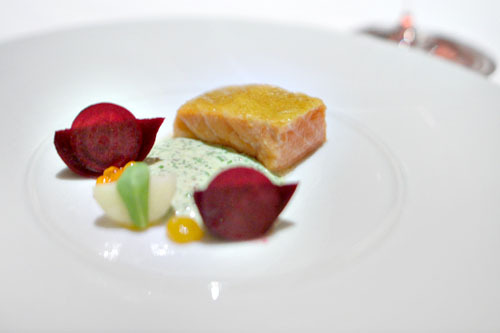 During his tenure here, he was thrice nominated for James Beard's "Rising Star Chef" award. In 2006, he left Arizona and returned home to San Diego to serve as the opening chef at Addison, which he quickly turned into one of the area's destination restaurants. Just last year, Bradley was nominated by Beard for its "Best Chef: Pacific" category (though losing out to Matt Molina of Mozza fame). Currently, he's joined in the kitchen by Chef de Cuisine Anthony Secviar (ex-French Laundry) as well as sous chefs Shaun Gethin and Stefani De Palma. Note that Aaron Martinez, whom we encountered at Rancho Valencia, was opening sous here, prior to his stint at In de Wulf in 2009. The environment at Addison is as grand as you'd expect, sort of exuding the same ornate, Spanish Colonial Revival aesthetic prevalent in the surrounding property. The main dining room holds about 80, and there's also a 15-seater Le Grand Table (a chef's table, basically). As for Addison's menu, you get a choice between a four-course prix fixe at $98, a seven-course Carte Blanche at $175, and a 10-course Le Menu Gourmand at a nominal $235 (ours somehow ended up at $300). To drink, you'll find cocktails by Bartender Mike Guest, but the main draw here is the restaurant's far-reaching selection of wine, over 37,000 bottles, managed by new (ex-Spago) Wine Director Elizabeth Huettinger, who replaces Jesse Rodriguez. Corkage here is a pricey $50, and you're only allowed one bottle; we opted for the wine pairing (at a grimace-inducing $175pp) along with our Gourmand menu. Click for larger versions. 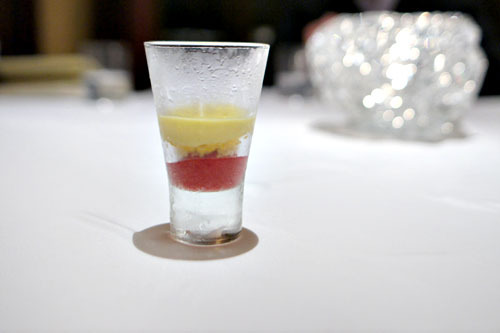 We commenced with a pear gazpacho crowned with a dollop of yuzu creameaux. 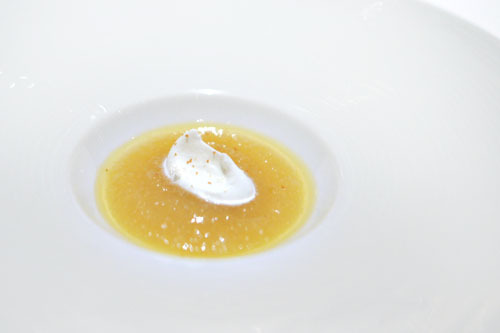 The gazpacho had an almost apple sauce-like bent to it, with plenty of sweet, autumnal spice to go against the creamy, yet tart yuzu cream. Two of our three bread services then arrived. First was a fantastic sherry-mascarpone gougère, which perfectly blended sugary, cheesy, and buttery in a delightfully creamy, flaky package. That was followed up with lemon-sea salt crostini, which were pretty neat in their own right, their salty and sour notes seemingly increasing in intensity the more you chewed. Kumamotos were presented with uni and horseradish cream: a commixture of sweet, sour, lush and buttery nuances finished with a creeping brine toward the end. 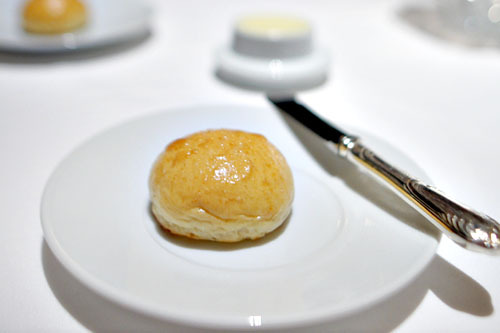 Next was an excellent homemade brioche, a wonderfully flaky, salty bread served with butter churned in-house. 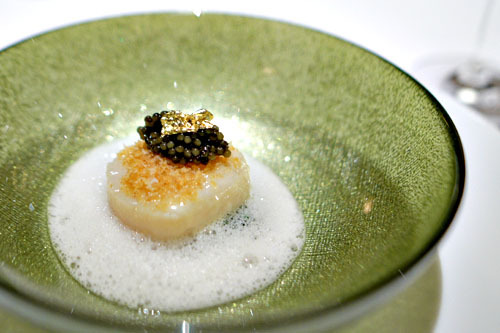 A lone scallop appeared crusted in potato, topped with golden osetra caviar and gold flake, all set in a Champagne emulsion with spinach. 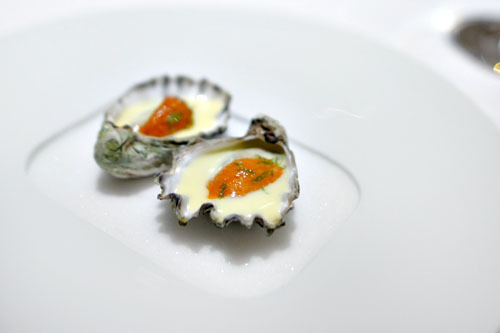 The scallop itself conveyed a salinity to it that paired superbly with the salty roe, while the broth provided a sort of counterbalancing piquancy to things. The best part here, though, was the use of spinach, which imparted an undertone of astringency to things that brought the entire dish together. Sablefish (a.k.a. 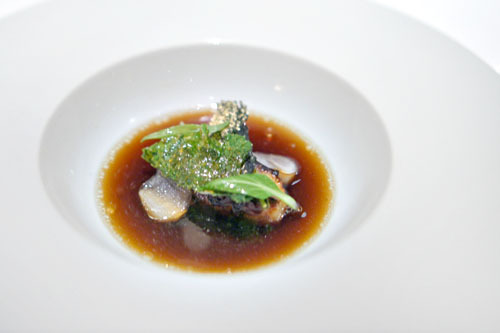 black cod) was flawlessly prepared, and came with kale in a dashi-based broth. 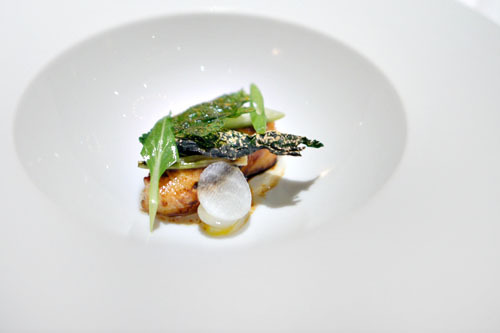 I loved the fish's utterly soft, buttery nature, moderated by the kale and onion, while the dashi really afforded a fantastic, umami-rich depth to the course. A fennel pollen-encrusted salmon was super rare, with a posh, buttery brine to it that was augmented by the globules of ikura tossed in, all while the fennel conferred a sort of medicinal slant to the fish. If that wasn't enough, the mustard here gave things a much needed kick in the pants, and the use of beets and apple mixed things up with their sweetness and crunch. 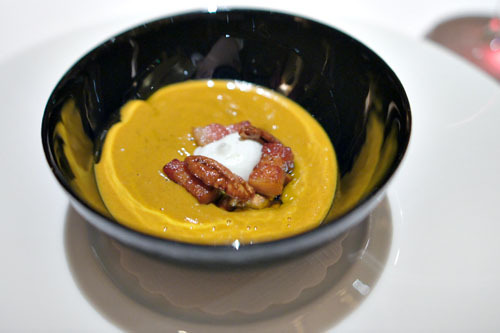 Our next course really tasted of the fall season, a rich potage that blended glazed pork, Crème Chantilly, and pecan in a French pumpkin velouté. Think sweet (too sweet for me, actually), spicy, and unabashedly autumnal flavors, moderated by the salty, savory pork and crunch of those nuts. 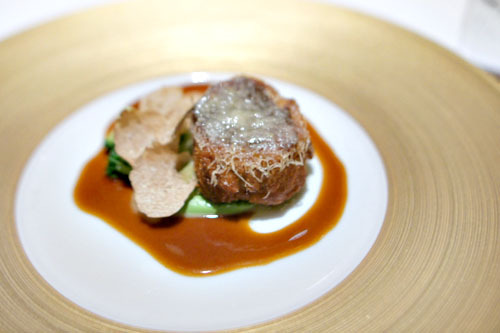 Here was one of the more memorable presentations of veal sweetbread I've had, served with broccoli, Parmesan, truffles, and drizzles of veal jus. The rich, earthy relish of the ris was proudly relayed, enhanced by the heady depth of truffle and salty coating of Parm, all while the broccoli was key in providing a touch of brightness and levity to the dish. 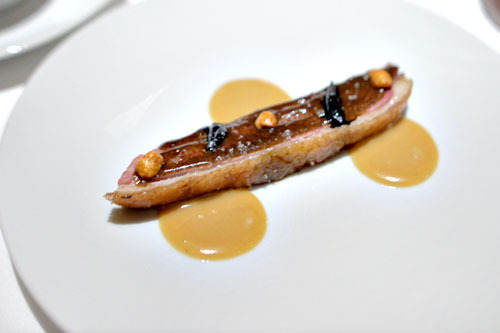 A sliver of magret de canard arrived consummately cooked, replete with wonderfully crisp skin and a delightfully duck-y savor that went well alongside the bittersweet sauce (slightly reminiscent of peanut butter). The accompanying rice with duck confit, shallot, and shishito was arguably even better though, projecting a comforting, Asian-y, umami-laden quality to it that made we want to keep eating--I wouldn't have minded just a big bowl of the stuff. Acapella - A goat's milk cheese from Petaluma's Andante Dairy, this was one of my favorites with its fruity, creamy palate, laced with a bit of lactic tartness. Ardi Gasna - This was a sheep's milk varietal from the French Pyrenées; think super nutty, dry, firm, and salty. Cabot Clothbound - From Vermont's Cabot Creamy came a cow's milk cheese that was tangy and sharp, but with an undercurrent of sweetness--another standout. Largo - Another one from Andante, the Largo's a triple-cream that was as lush and luxurious as you'd expect, with a delightfully earthy, mushroom-y taste. 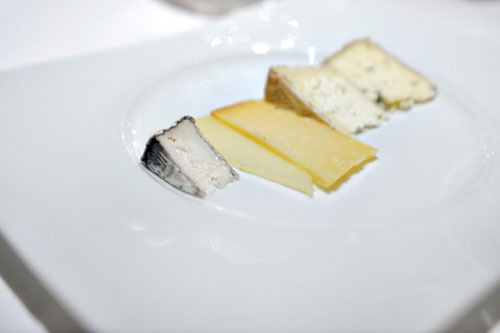 Fourme d'Ambert - A classic bleu from Auvergne: tangy, salty, rich, funky, and full of flavor. Serving as a bit of an intermezzo was this shooter, which balanced the tartness of orange with a deliciously sweet, creamy character. A welcomed change of pace after the heavy courses preceding. 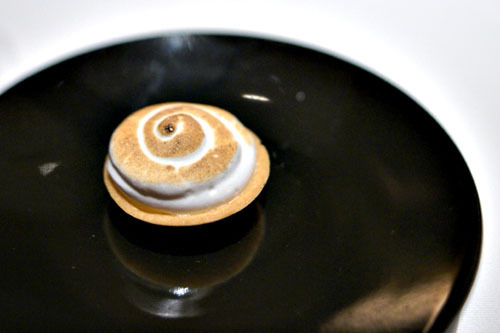 A mini Meyer lemon and meringue tart was a fun little treat, blending sour and saccharine in a crisp, flaky crust. 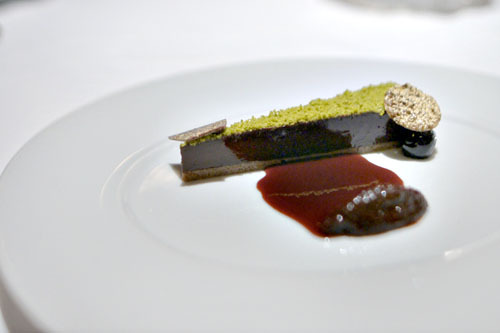 Our proper dessert course featured a pistachio-crusted flourless chocolate tart, garnished with cherry. The cake itself was suitably dense and chocolate-y, so the key was that cherry, which imparted a fruity, tart balance to the course that really worked out well, especially when taken in concert with the crunchy, slighty savory crispy bits here. 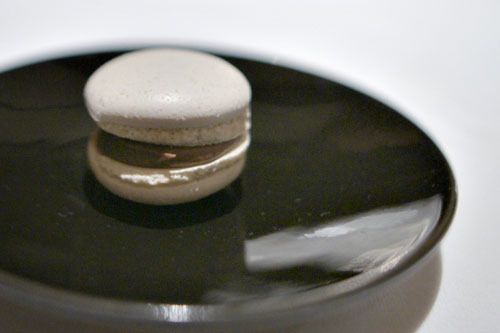 Rounding things out was a Tahitian vanilla and chocolate-raspberry macaron, a fitting finish to the meal that gave us the classic pairing of chocolate and vanilla, with the fruit coming forward just on the back end. Given its rather sleepy setting, I wasn't expecting all that much from Addison. 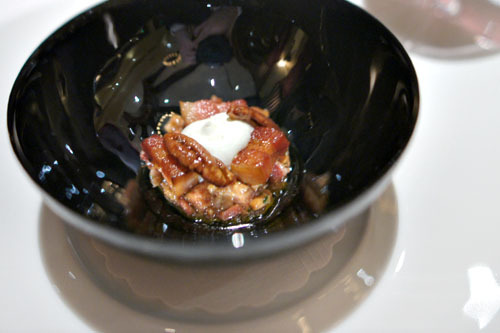 The food, thus, was really a pleasant surprise for me, with Bradley's creations conveying a sort of unfussy sophistication that I quite liked. 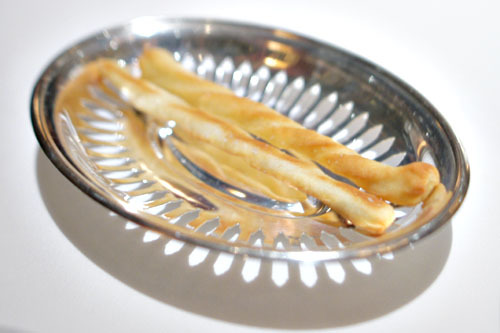 It's not terribly cutting edge cooking, but what's on the plate here really does deliver, a worthwhile example of the Cal-French aesthetic that we encounter so often at the high-end. As successful as the cookery was though, I was taken aback by the price, which, at $520pp, made this one of the most expensive meals I've ever had. Regular readers of this blog know that I don't have an issue laying down good money for a meal, but it's baffling to me why this ended up at such an extreme. 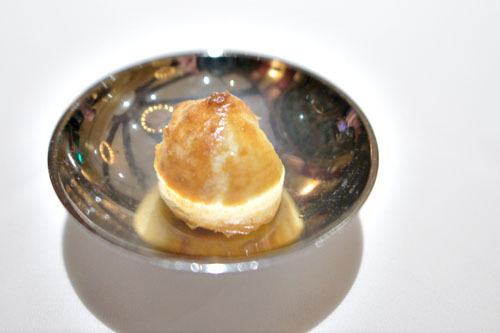 Just to put things into perspective, the only dinners I've had that were pricier were at Urasawa, Joël Robuchon, Guy Savoy, and The French Laundry. i divide my food reading between you, the ny times (pete wells) and the guardian (jay rayner). i look forward to yours most. While I do want to try Addison, that food didn't look worthy of $235...and obviously not the mysterious increase to $300. There is no way that type of price is justified in, of all places, San Diego. No offense to San Diegans but even if this was in Napa, the level of food, decor, experience here does not wararant that price point. 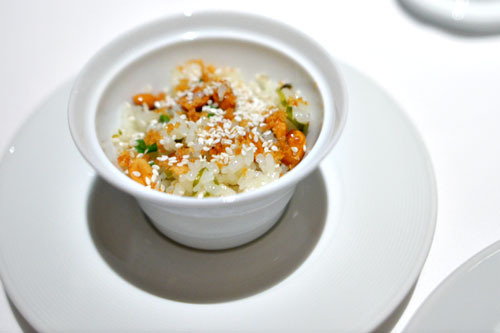 Remember, Per Se is $295 with service inclusive and I am pretty sure you get more courses (I didn't count). Is this a (rich) tourist trap? Did you ask them what the reason was for the upcharge on your dinner? I didn't see any surcharge items that you noted. Even at the regular price of $235 + $175, I would say this meal is not even close to being worth it. That's almost double the cost of Providence, and flat out insulting. Addison caters to the business write-off clientle, there are dozens of bio-tech,hi-tech companies in the vacinity, with 100's of engineers, Phd's,MD's, constantly being wined and dined by headhunters, there are the few foodies etc., that show up, it is in a really odd location, bootm line the hype and PR do not = cost of a 10 course meal, $500/person. I'd have to agree with other folks here. $520pp is steep for the food served. Granted, nice post Kevin! Tom: I assure you, I do not belong in the same breath as Wells and/or Rayner. Darin: Indeed; I'm still bewildered as to why the priced jumped so much. 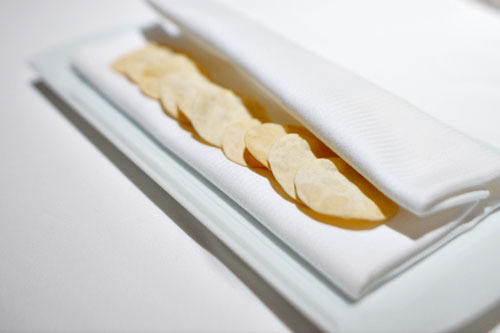 The single truffle course? sygyzy: Per Se/TFL are both around the same number of courses, but yeah, their prices do include service (though they're also known for their pricey supplements). Luis: It didn't occur to us to ask, but we probably should have; the bill did not list any surcharges. Also, last time I was at Providence, it was $175+$115 for the Chef's Menu plus pairing, though that's a longer menu. Anon: Interesting. I didn't think of that angle, but it makes sense. 2F1JM: Agree. TBL3 is definitely on my list for next time. Sam: Good to see you posting again Sam. That 42 Grams report looked promising. CavaCava: Certainly, but was that just a thinly-disguised ad for your restaurant? That's quite the long menu there but I'm still shocked at the price! I did notice there were a couple of seafood items, which makes a little more sense price-wise but it's still more than I would be willing to spend on one meal. Anyway, this made me think of Cellar Door here in SD. My fellow food blogger (Faye's Fork) wrote about the experience, including the food and wine pairings of the chef. I sure am interested in it for myself one day! Maybe you could look into that or whether they have similar in your area?